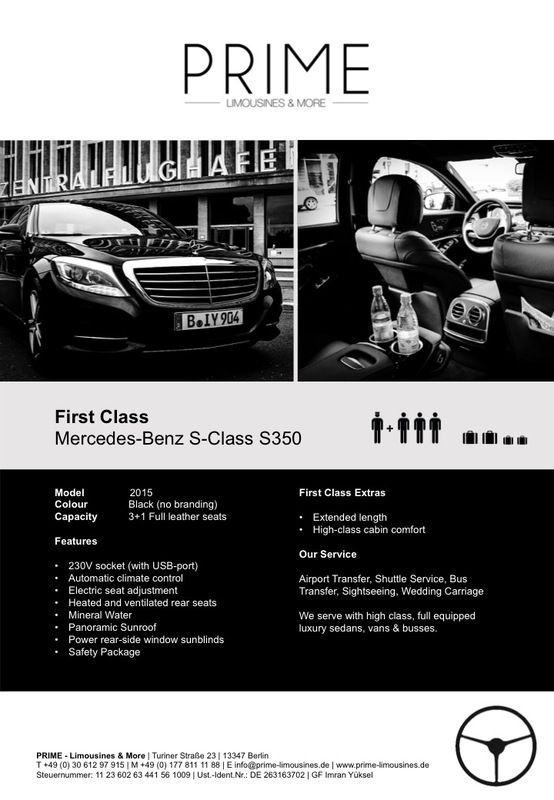 With our long years of experience in passenger transport, we always offer our customers comfortable and powerful cars. 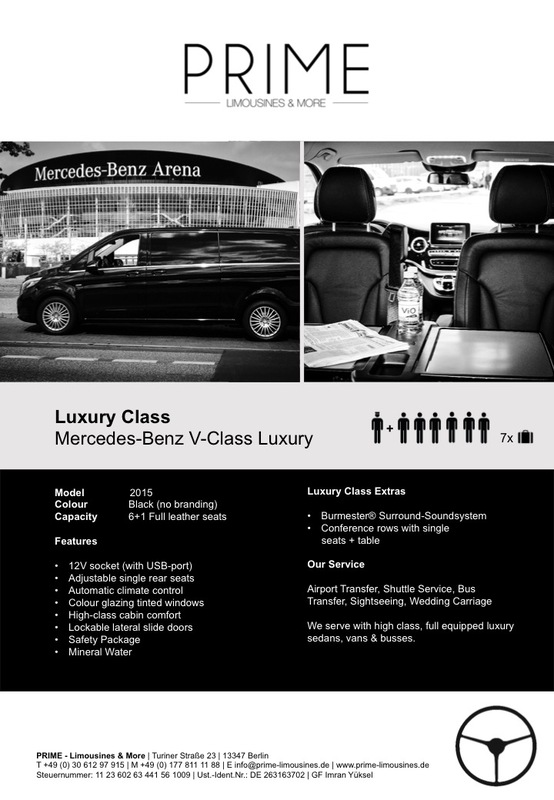 Whether for transfer, business or city tours, our PRIME vehicle fleet provides you with the best vehicles for every situation. 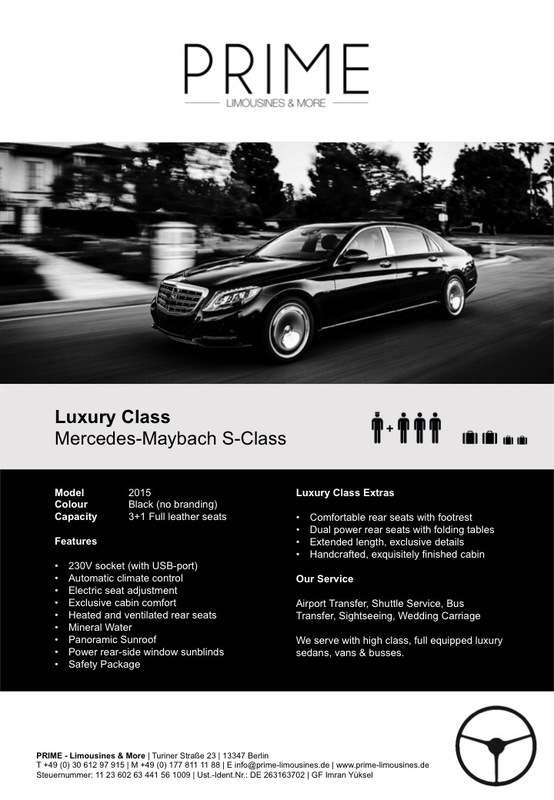 Our fleet consists of the latest vehicle models. 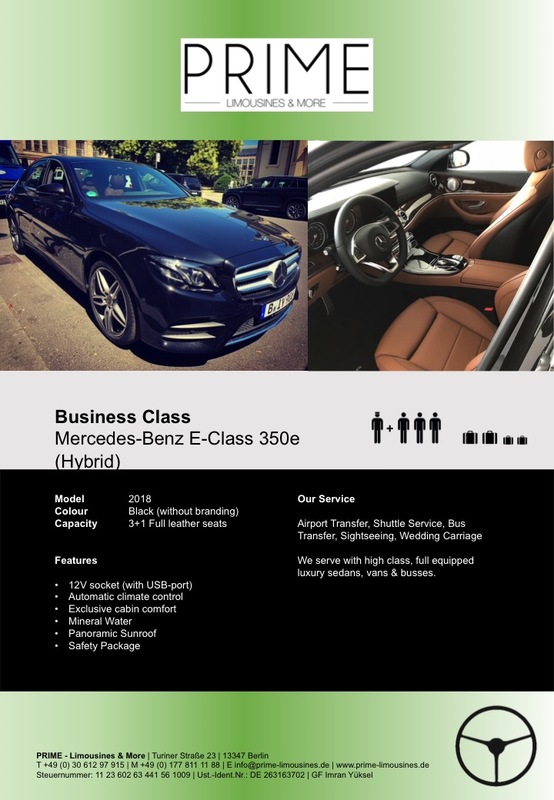 In addition to the luxurious Mercedes-Benz Maybach S-Class, which fullfill high expectations, you will also find the timelessly elegant S-Class and E-Class vehicles as well as Audi A8 at PRIME. 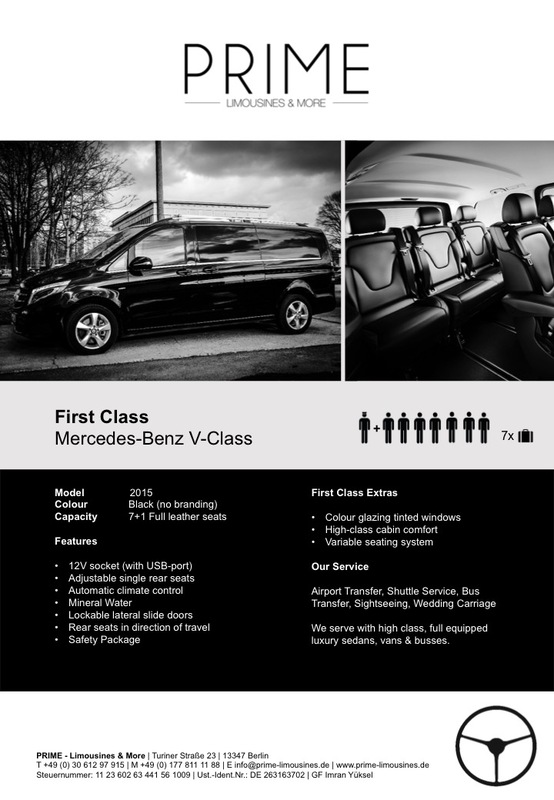 For business travel, we can serve you with the attractive V-class vans. 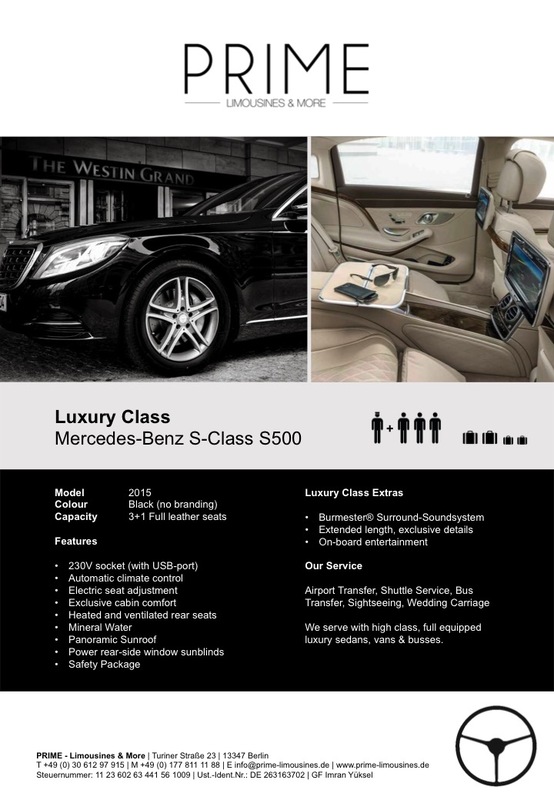 Our limousines are well maintained and have a sophisticated and modern facilities. 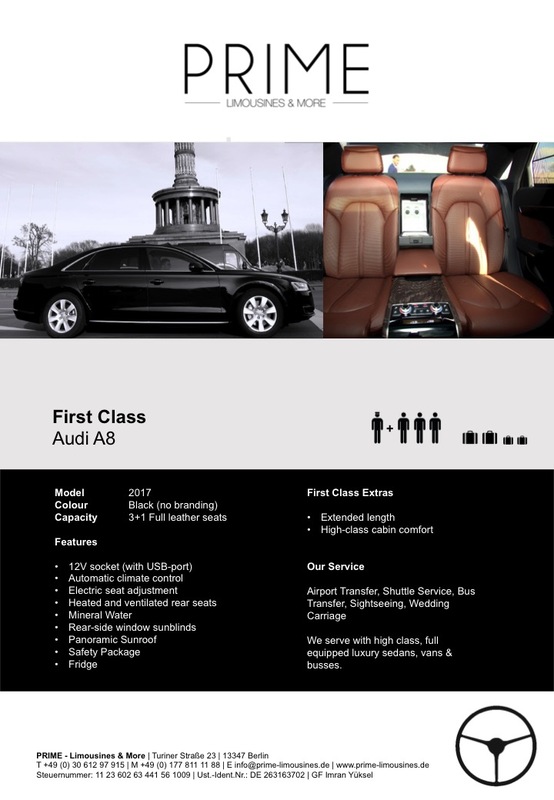 Additional service is possible on request.